Pablo picked me up in the lobby of the wonderful Amérian Executive Mendoza Hotel across the street from Plaza Italia, one of a quintet of splendid squares (and the one that acknowledges the contributions of Italian immigrants to the region’s wine industry) in the heart of the lovely, and surprisingly bosky, city of Mendoza, Argentina. We were going to spend the day together — Pablo driving me around to the nearby wineries, and me imbibing to my heart’s content without having to worry about the rules of the road and DUIs. 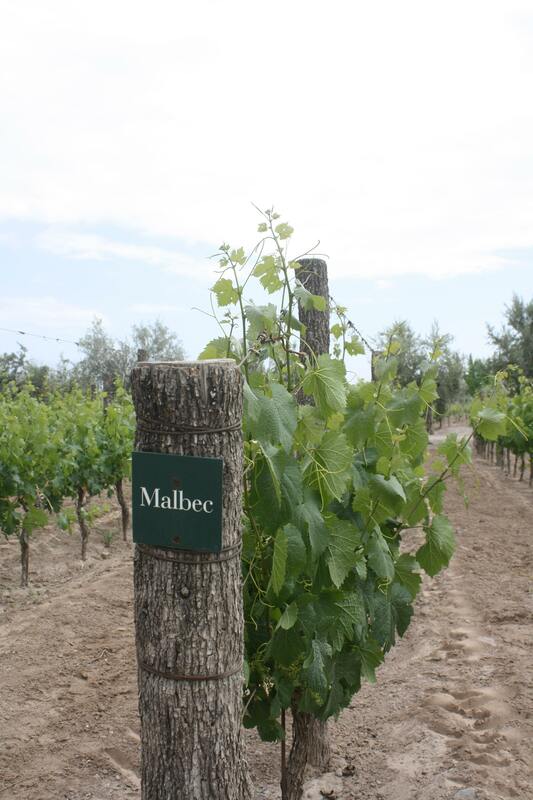 From grape to bottle, Argentina produces some fantastic Malbecs. We spent the first 40 minutes talking about everything from the ongoing marches by the Mothers of Plaza de Mayo in Buenos Aires, demanding answers about their children who “disappeared” in the 1970s, to how the 1982 war in the Islas Malvinas (the Falkland Islands to me, but never to an Argentinean) is still not a popular topic of conversation. A much more palatable avenue of discussion is the success of the country’s wine industry, which has been giving the world serious notice for the past few decades. By the time we arrived at Bodega Vistalba, I was primed to sample some of the offerings of the world’s sixth-largest wine producer, right behind the United States and China and ahead of Chile and Australia. Operating since the turn of the 21st century, Bodega Vistalba has a pretty sweet setup, with clear view of the snow-capped Andes Mountains and rows of grape vines stretching far out into the distance as well as a two-room inn for visitors who may want to avoid the drinking and driving problem after emptying a few bottles. Tours here are small; I was joined only by a California couple, a pair of reasonably knowledgeable oenophiles. In the underground tasting room, an entire wall has been opened up with glass, allowing visitors a good look at the subterranean cross-section of the vineyard’s clay, rocks, and root system — certainly the visual highlight of the room. But the three bottles of wine on the central table were equally alluring. Vistalba produces olive oil here, but it’s the wines that have earned it its highly regarded reputation. The estate, or finca, turns out one million bottles per year, and a trio of them were now opened for our sampling — the Tomero Clasíco Torrontés (with a slightly citric aroma), the Vistalba Corte C (with a rich purplish-red color), and the Progenie III (a lovely sparkling wine). I was loosened up by the time I returned to Pablo. As we drove past fields of tobacco, onions, and garlic, our conversation ranged from the state of the Argentinean economy to the legacy of Juan and Eva Perón. It turned back to the grape when we pulled up to Finca Achaval Ferrer, a boutique winery founded in 1998 that produces only about 200,000 bottles of five different wines per year, in addition to some very flavorful olive oil. 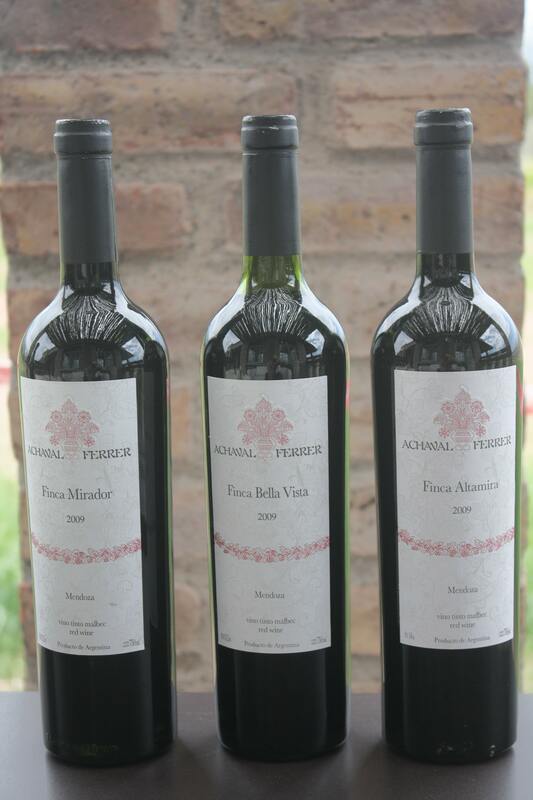 Finca Achaval Ferrer breaks open a few bottles of wine for your pleasure. For the tasting tour, I teamed up with a friendly Australian couple. After sampling three of the five wines, I was feeling uninhibited enough to ask my new friends why Australian wine is so awful — an opinion they quickly validated. “We save the good stuff for ourselves and export the swill,” they explained. That seemed accurate enough, so I finished off the final two wines, including one of the region’s signature Malbecs, while inspecting the winery’s oak barrels (at a cost of $2,100 each) and trying to concentrate on my host’s narration of the finca’s history. Achaval Ferrer was started by a group of friends, only one of whom was a wine expert; his buddies were a banker, a lawyer, a pilot, and somebody else (the fourth and fifth glass were already clouding my absorption of information). With a comfortable buzz, I managed to find Pablo and plopped into the passenger seat of his car. I was pleased when he told me that our final winery of the day would serve a late lunch — I was needing some food to counter all those wonderful varietals. Finca Decero (“Winery From Scratch”) was founded by Thomas Schmidheiny, the Swiss entrepreneur who was CEO of one of the world’s largest cement manufacturers and who owns wineries in four countries. I was escorted to the dining room on the second floor of the main building, with its views of the vineyards, the Andes in the near distance, and the Tupungato volcano, and a terrace where you can soak in the panorama as you sip a soothing red or white. I was served a sumptuous three-course meal, each selection perfectly matched with a healthy pour of Decero’s wines — a Syrah, a Malbec, and a Cabernet Sauvignon. 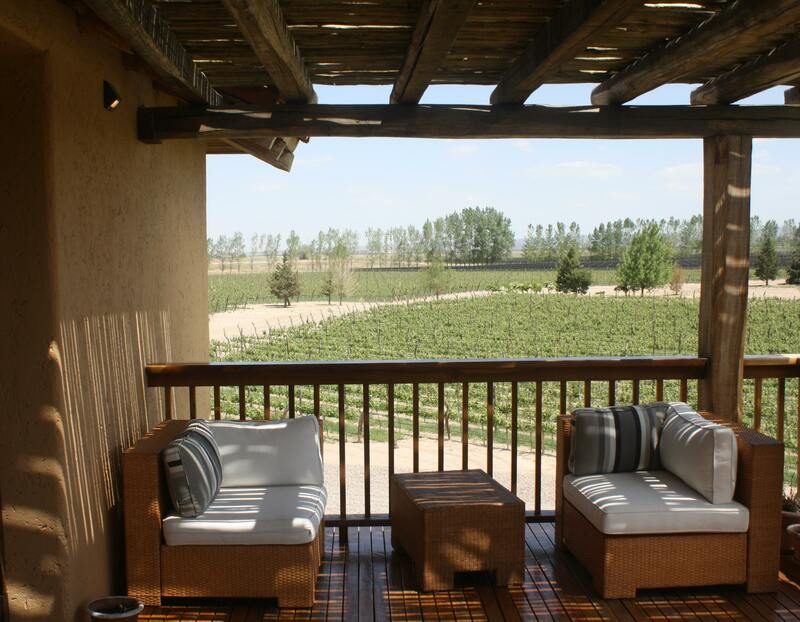 Enjoy a glass or two of Finca Decero’s wines from the terrace overlooking rich vineyards. After this outstanding meal, my eyelids were beginning to meet and I was craving a nap, but I powered through it and joined the tasting with a couple from Toronto and a pair of med students doing their rotation in Santiago, Chile. The three samples here, including the Decero Mini Ediciones Petit Verdot, with a noticeable flavor of wild blueberries and a hint of quince, had a higher alcohol content than those at the previous two fincas, and by the time I stumbled out to meet Pablo, I was feeling rather blissful. Back in Mendoza, Pablo asked if I would like to see one of his favorite parts of the city, Parque San Martín, a lovely and popular park designed in 1896. “Shhhhuuuure,” I slurred happily. After a dozen glasses of wine, the romance of the 971-acre park seemed heightened — the lake, the fountains, the 34 statues, the regatta club and the lone rower gliding by, and the blooming rose garden. Even the elaborate entrance gates, originally made for a Turkish sultan but ended up here as a gift from England, seemed more swoon-worthy under the influence of Argentina’s finest. By the time I parted ways with Pablo at my hotel, I had come to understand and appreciate what all the fuss was about regarding this South American wine producer. And ever since, whenever I’m in the mood for some wine, I head straight to the Argentina section of my local wine shop.